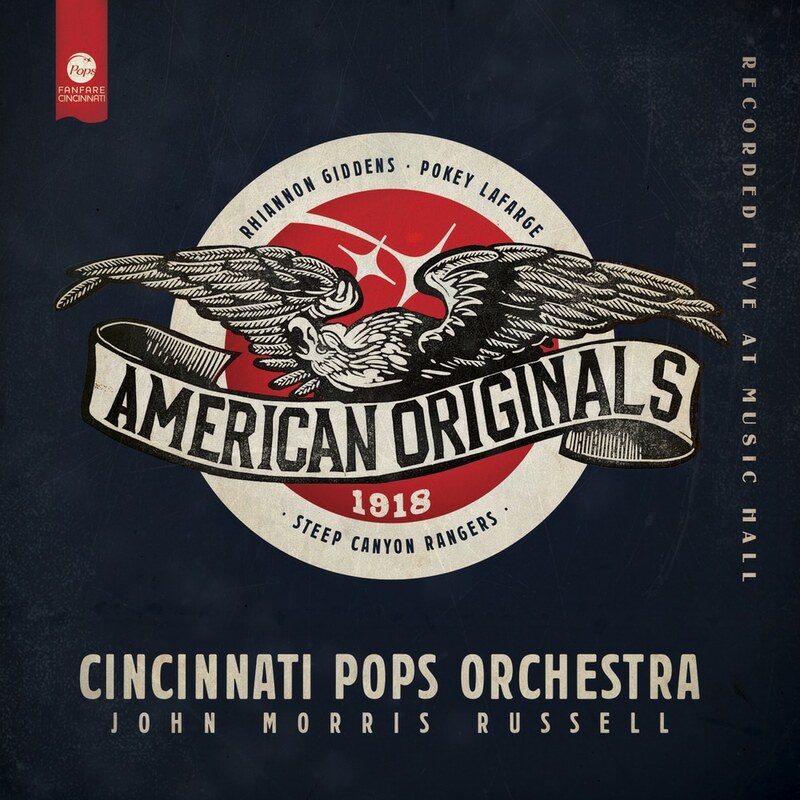 American Originals: 1918 is the newest release from the Cincinnati Pops conducted by John Morris Russell and features iconic American songs interpreted by a diverse array of acclaimed musical collaborators including MacArthur “Genius” Fellow Rhiannon Giddens, Grammy-winning Steep Canyon Rangers, Americana artist Pokey LaFarge, and tap dancer Robyn Watson. The follow-up to the Pops’ innovative American Originals album, American Originals: 1918 reimagines songs first brought to life in the first third of the 20th century as well as American popular standards from World War I and some of the first well-known tunes from the advent of jazz. The 95th Cincinnati Pops album includes fresh new renditions of “Over There,” “God Bless America,” “Swing Along,” “Memphis Blues,” “I’m Just Wild About Harry,” “How Ya Gonna Keep ‘em Down on the Farm,” and “I Ain’t Got Nobody,” among many other classic tunes. In addition, the collection includes the world premiere of Grammy-nominated composer Peter Boyer’s “In the Cause of the Free,” commissioned by the Pops to commemorate the 100th Anniversary of the end of World War I.